The JOYO JF-312 PipeBomb Compressor Mini Guitar Effects Pedal is an exceptional all round Compressor mini guitar effects pedal. The JF 312 mini compressor pedal is taken from the 3rd generation of JOYO pedals a result of 8 years of JOYO technology and expertise. 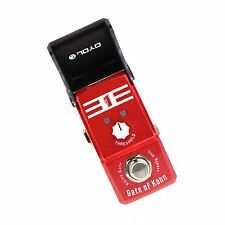 JOYO Audio UK are the distributor for JOYO Pedals, guitar effects and their accessories in the UK. 1 Year Warranty Direct from JOYO Audio UK Distributor. 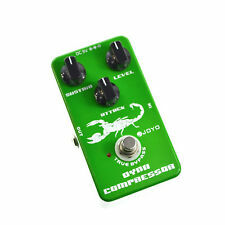 The JOYO Dynamic Compressor guitar pedal is representative of a classic Ross with very low noise. 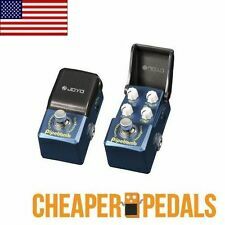 JOYO JF-10 Dynamic Compressor Effects Guitar Pedal JF10 Effect Pedal JOYO Dynamic Compressor Pedals Product Description: 1. A re-creation of the classic Ross compressor, with very low noise. Use the Sustain, Attack, and Level knobs to find your ideal tone. Tweek the Attack to boost your bottom end and level off high-output pickups. 2. True bypass design minimizes tone loss. 3. Aluminum alloy casing with stoving varnish finish. 4. Dimensions: 11.8(L)X6.4(H)X3.8(W)cm 5. Weight：0.38KG Package List: 1 x User's Manual 1 x JF10 Guitar Pedal. It has Sustain, Attack and Level knobs. Material: Aluminium alloy with stoving vanish. 1 Year Warranty Direct from JOYO Audio UK Distributor. 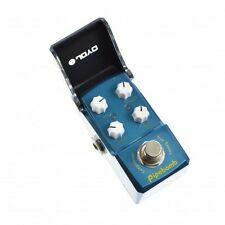 JOYO Audio UK are the distributor for JOYO Pedals, guitar effects and their accessories in the UK. JOYO Audio UK limited. JOYO Audio UK Limited - Manchester England. NEW JOYO PIPEBOMB Compressor IRONMAN JF-312 Pedal US SELLER *Free* Shipping! The Joyo Pipebomb is a sweet little compressor that gives you bouncy compression. Unlike most 3 knob compressors, the Pipebomb adds a 4th Mix knob to adjust the compression to subtly tailor the exact amount of compression you want to hear. 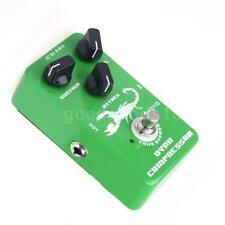 NEW JOYO JF-10 Dynamic Compressor Guitar Effects Pedal FREE SHIPPING! Great tone from Joyo at a real value price! 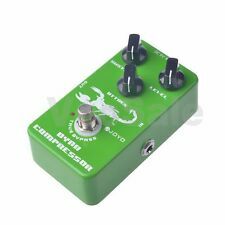 A re-creation of the classic Boss compressor, with very low noise. Use the Sustain, Attack, and Level knobs to find your ideal tone. Use it as to smooth out your playing or as a subtle boost before your amp. Bulk buying is by far Desc. JOYO / Dr.J products 10% OFF on orders more than two points! This item will be in Japan agency goods. [ Allergy ]. [ Multiple sizes and colors ]. to your local country. JOYO PIPEBOMB COMPRESSOR IRON MAN MINI SERIES BRAND NEW FAST US SHIP ! JOYO "PIPEBOMB ". The new Pipebomb Compressor is powerful little unit with nice attack and sustain and does not color the original response. Here is a sound sample of the new PipeBomb Compressor Joyo is back with their much anticipated Ironman mini series. Mix adds in the compressed signal so you can blend it together with your original signal if required. Compressor pedal with lots of settings. Excellent build quality. 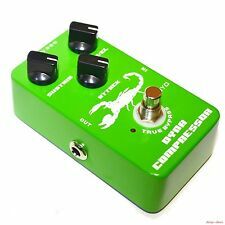 Genuine JOYO DYNAMIC COMPRESSOR JF-10 Dyna Comp. Condition is New. Shipped with USPS Priority Mail. Una ri-creazione del compressore Ross classico, con molto a basso rumore. peso pedale effetto 1 pedale effetto. Peso pedale effetto una ri-creazione del compressore Ross classico, con molto a basso rumore. Présentation : La série des pédales Iron Man de Joyo sont des pédales d'effets mini format / Maxi efficacité. Leur particularité réside dans le cache en plastique dont elles sont équipées. Boitier : Métal. JOYO Amplificatore Simulatore Professionale Qualità Eccezionale Colore in Nero Materiale in ABS Durevole Resistente Ottima Nuovo per Chitarra Elettrica Facile da Usare 89 77 26mm. 1 x Amplificatore Simulatore.